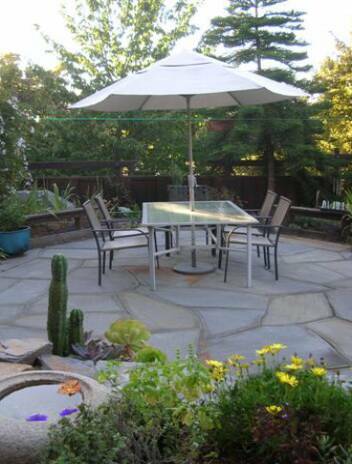 Mimi's Landscaping provides design, installation, and renovation services to residential clients in the East Bay. We welcome the opportunity to work closely with clients to realize their vision for their outdoor space. We will create new gardens or work within your existing site to renew the landscape. Maintenance service provided as well. Perfect porches! We also specialize in container design for patios and decks. Keep seasonal color and foliage surrounding your living space. Better Gardens make Better Homes! Quality service. References upon request. Mimi Wiesenfeld designed our front yard last year and we are very pleased with the result which is really beautiful and unique. Mimi has the ability to visualize the final result due to her great knowledge of plants and involved us every step of the way. We highly recommend her if you are seeking a very special landscape. Most of our landscaping is drought tolerant natives, but the garden had had little care for some time. Mimi beautifully restored our entire yard after a long period without maintenance. Our fruit trees and additional small trees were proficiently pruned and well shaped, opening up the flow of the entire garden area. Even the pruning that she did on the contours of our paths enhanced the curves and shapes that existed. Additionally, she planted a patio area in perennial color and containers, which combines foundation plants and seasonal color which has held up quite nicely. I would recommend her for landscape services. 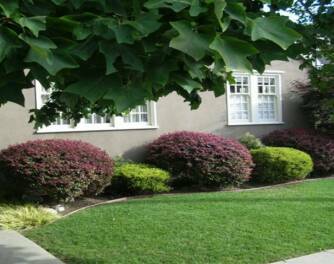 Mimi Wiesenfeld of Mimi's Landscaping is outstanding (510.595.9090). We interviewed several people and selected Mimi for her impressive knowledge and passion. She really listened to us about our need for low maintenance and drought resistance and stayed on schedule and within budget. Her vision matched our aesthetic to a tee. We--and our neighbors--couldn't be happier. She's highly professional, great to work with, and she's local! Mimi takes wonderful care of my front and back gardens. We have worked together for about 5 years, and I am always pleased with her work. She listens and then customizes her work to make sure I will be happy with the results. And I am. Mimi's Landscaping . Mimi is a real artist! Mimi and her team did a phenomenal job on my front yard. Redesigned it to put new drought tolerant plants in, tended what was there and worth keeping, redesigned the drip irrigation, weeded and sheet mulched all over. It looks great and should be much more maintenance free into the future. I'm really pleased with how it turned out. I highly recommend her services. I want to give a recommendation for Mimi's Landscaping for refreshing front and backyards and for excellent flower pot designs. She also offers regular maintenance services, too. We had a large party for a wedding that we wanted our backyard to look for perfect for. After 3+ years, our new backyard was a little overgrown, a little out of control and in need of a major uplift. We needed plants replaced, plants pruned and/or moved, irrigation checked for leaks and tweaked for new plants, and new pots planted. Mimi's Landscaping not only responded to my inquiry promptly, she and her team finished their job, worked in our job, and did a lovely job across the board! Mimi isn't classically trained, but she had a vast knowledge of plant varieties that would do well in our micro climate and made a lot of suggestions. She worked with me and my particular preferences, and chased down options to meet my aesthetic, including looking for rock veneer for a walk, and sidewalk down lighting base. Mimi's quote was quite reasonable, less than 20% of the initial investment I made and her scope was both the front yard and backyard. Mimi does a fantastic job with potted plants. 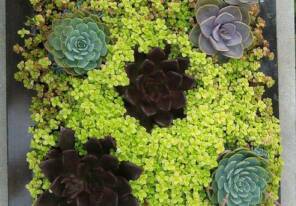 Her portfolio showed a diverse set of options using colors, textures and plant heights, including trailing plants. 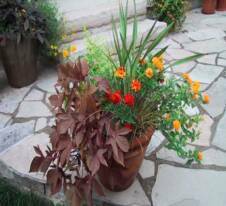 I had her do two potted plants to help bring color and warmth to an otherwise formal setting. I received several complements on these additions to the yard. If you have a project, give her a call for a quote! Mimi Wiesenfeld www.mimislandscaping.com Based in Rockridge. Call Mimi she is local, advertises in Rockridge News, Mimi's Landscaping She goes a great job. I chose Mimi’s Landscaping to refresh the award-winning garden at my 100-year-old Oakland bungalow in preparation for sale. It was a good choice. I recommend her highly. Originally designed and installed by Lazar Landscape, after twenty-five years the garden was overgrown and tired. Working under a tight deadline and in close in consultation with my real estate broker after I had relocated to southern California, Mimi used her good judgment, excellent design sense, and deep knowledge of plants and landscaping best practices to turn a sad back yard into the spectacular outdoor living area it once was. Mimi and her crew listened carefully to my needs and responded to them with good ideas and financially appropriate solutions. Her first test was to prune the beautiful tulip tree in my front yard, a feature admired by neighbors for years but now out of control. Her skill, care, and thoughtfulness were evident in the result. Next, Mimi and her team tackled the overgrown bushes, ivy, and other plantings front and back. They moved on to repair the extensive brickwork, lighting, and irrigation system. The result was an exceptional like-new garden that respected the original Lazar design and turned the property into something special that commanded the best possible price. She and her workers were diligent about cleanup and sensitive to the needs of the neighbors when using the shared driveway. Mimi’s Landscaping was a great choice for my initial small jobs, but also capable of handling a major garden restoration. She listens well, uses good judgment, has depth of knowledge, takes initiative, and most importantly, does whatever it takes to get the job done on time. Mimi and her team were a great find. I recommend Mimi’s Landscaping highly.